On 29th July Glamorgan County Cricket Club partnered with the Barrie Wells Trust to welcome seriously ill and disabled children to enjoy exclusive VIP treatment from executive boxes for the Glamorgan vs Kent T20 Blast. Unfortunately, due to unforeseen weather circumstances, the match was called off just half an hour after the scheduled start. 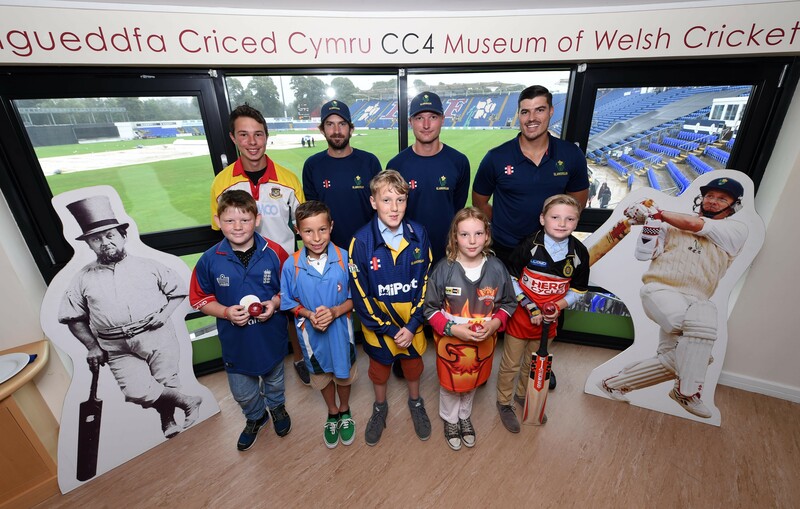 However the children invited were still able to enjoy a day of hospitality including meeting cricket players Joe Burns, Aneurin Donald and Marchant de Lange. The Barrie Wells Trust run a nationwide initiative called Box4Kids which invites seriously ill and disabled children to enjoy VIP experiences in executive boxes at major sporting and entertainment events. The Barrie Wells Trust works with a network of over 80 hospitals and hospices across the country to nominate children for Box4Kids events. The children who attended have a range of illnesses including cancer and cerebral palsy.